Home Thoughts Is Climate Really Changing ?? Is Climate Really Changing ?? How can we be so arrogant?? Is Climate Really Changing ?? How can we be so arrogant?? Whenever I read articles in newspapers or magazines about saving the planet I think. We can’t destroy it, if we overstep the mark, the planet will simply erase us from its surface and carry on existing. Let’s be humble. Let’s respect mother earth because if she becomes furious with our behavior we are in trouble. I quote these words by Paulo Coelho From his book “The winner stands alone” and that’s precisely how it is. Mother Earth doesn’t need saving. We need to save ourselves. The Earth was once a ball of fire and if it can survive that then I don’t think humans are a very big problem for her. The topic of climate Change and global warming is always trending. And it’s what should be, people do need to talk about it. First of all we need to sort out our priorities, climate change is slowly and steadily killing us, we need to tackle it, and it concerns the entire humanity. The sad thing is and in addition to that today there exist some people who are not even ready to believe that it is a thing. And if that person becomes the president of the most powerful country in the world, we are doomed. Global records of surface temperature. The temperature of the surface of the earth is rising constantly. Scientists have high confidence that global temperature will continue to rise for decades even if we stop carbon emission to zero tomorrow itself. “The Intergovernmental panel on climate change which includes more than 1300 scientists from the US and other countries forecasts a temperature rise of 2.5 to 10 degrees Fahrenheit over next centuries”. NASA’s Oceans Melting Greenland (OMG) projects study the extent of warm ocean waters melting glacier from below and it’s much faster than expected. Greenland’s ice is melting even faster than predicted. 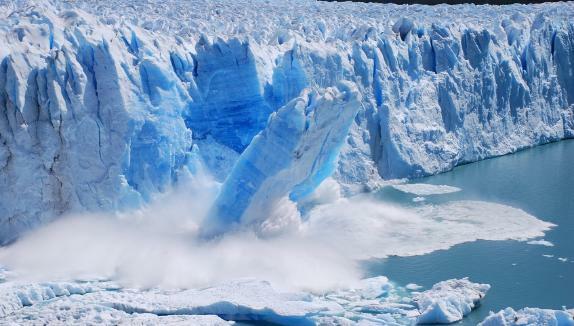 If all of the ice in Greenland were to melt’ it could raise global sea levels by 20 feet (6 meters). Analysis of satellite images have revealed an alarming recession of glaciers in the Bhilangna basin of Garhwal Himalayas from 1965. Scientists of ISRO have found that his main glaciers have receded 4240 meters since 1965. Satellite observations show that Arctic sea ice is now declining at a rate of 13.3 percent per decade, relative to the 1981 to 2010 average. So, there should be no doubt about the existence of climate change. We need to wake up now!… Now……! If the sea levels continue to rise then some of cities and countries of the world may cease to exist within the next generation. If all the ice melted then the sea levels would rise by approx. 216 ft. Cities like Miami, London, Cairo, Venice, Kolkata, Shanghai, and Entire of Bangladesh, Maldives, Majority of Indonesia, Australia would sink. Although it would take more than 5000 years for this to happen many of these places will certainly get eliminated if Countries do not substantially lower carbon emission. 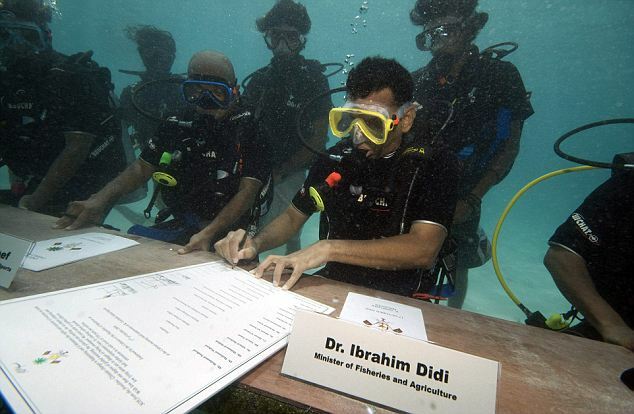 In 2009, the Maldives government made an eye catching plea for climate change action by holding the world’s first underwater cabinet meeting. Maldives would be among the first countries to drown due to an aftermath of sea level rise. Unfortunately, Mohammed Nasheed, the then President of Maldives, whose carbon neutral plan has now been ditched by the dictatorship in favor of a plan for oil drilling under the coral atolls, was jailed. Countries are finally taking climate change seriously now. Under the Kyoto Protocol, countries pledged to lower their Carbon emission by 2020. Scientists are constantly in search of more and more sustainable methods of energy production. Personalities like Dale Vince, Solitaire Townsend, Jeremy Leggett, Elon Musk, Bill Gates have always been working for the cause. We need to volunteer as an individual, try to reduce wastage of energy as much as possible. Power our homes with green energy, Cycle, Bus, Train, Car share or drive an electric car. Vote for candidates who make climate a priority.